Joseph Pierre Roméo Vachon, pilot, airline executive (b at Ste-Marie-de-la-Beauce, Qué 29 June 1898; d at Ottawa 17 Dec 1954). After service in the RCNVR during WWI, Vachon joined Laurentide Air Service in 1921 and in 1924-25 performed an aerial survey of Québec's North Shore. Joseph Wanton Morrison, British army officer and field commander, military figure in the WAR OF 1812 (b at New York, NY, 4 May 1783; d at sea, 15 Feb 1826). Morrison was born under the British flag in New York City, where his father served as commissary-general of North America. It was Boyle who opened the trail to Lake Bennet and Lake Tutshi. He and Slavin filed a claim of 8 mi (13.3 km) along the Klondike River, but Boyle immediately realized that success would depend on a large-scale operation. Joseph-François Hertel de La Fresnière, soldier (bap at Trois-Rivières, New France 3 July 1642; buried at Boucherville, New France 22 May 1722). As a youth, he was captured and adopted by the Iroquois (1661), escaped, and took part in retaliatory raids, accompanying FRONTENAC to Lake Ontario (1673). Josué Dubois Berthelot de Beaucours, military officer, engineer, governor of Trois-Rivières and Montréal (b in France c 1662; d at Montréal 9 May 1750). Kenneth Stuart, army officer (b at Trois-Rivières, Qué 9 Sept 1891; d at Ottawa 3 Nov 1945). Stuart graduated from RMC in 1911 and served with the Royal Canadian Engineers overseas 1915-18. ​Lionel B. 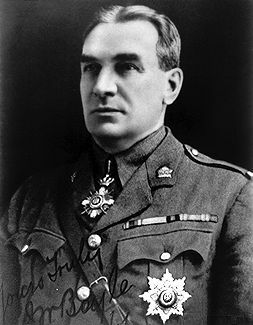 (Leo) Clarke, soldier, railroad surveyor, Victoria Cross recipient (born 1 December 1892 in Waterdown, ON; died 19 October 1916 in France). During the First World War, Corporal Leo Clarke was one of three Canadian soldiers, all from the same street in Winnipeg, to be awarded the Victoria Cross (VC), the highest award for bravery among troops of the British Empire. The three VCs earned by the men of Pine Street — later named "Valour Road" — was a feat unmatched in any other part of the Empire. Leonard Joseph (Birch) Birchall, CM, O Ont, air force pilot, war hero, educator (born 6 July 1915 in St. Catharines, ON; died 10 September 2004 in Kingston, ON). During the Second World War, Birchall became known as the “Saviour of Ceylon” for alerting Allied forces of an approaching Japanese fleet. Captured after sending his message, he is also renowned for the courage and leadership he displayed while a prisoner of war. ​Leonard Austin Braithwaite, CM, OOnt, QC, lawyer, politician (born 23 October 1923 in Toronto, ON; died 28 March 2012 in Toronto). Braithwaite was the first Black Canadian elected to a provincial legislature. He served as a Liberal member of the Ontario Legislature from 1963 to 1975. Leonard Warren Murray, naval officer (b at Granton, NS 22 June 1896; d at Derbyshire, Eng 25 Nov 1971). Murray joined the navy in 1911, served in WWI and by 1939 was deputy chief of the naval staff. Lewis W. MacKenzie, soldier, peacekeeper (born 30 Apr 1940 at Truro, NS). Major-General MacKenzie received his commission in 1960 with the Queen's Own Rifles and performed his first peacekeeping duty in the Gaza Strip in 1963. Lloyd Samuel Breadner, air chief marshal (b at Carleton Place, Ont 14 July 1894; d at Boston, Mass 14 Mar 1952). Commissioned in the Royal Naval Air Service 28 December 1915, he won a Distinguished Service Cross as a fighter pilot in 1917. On Sept. 16, 1996, Maj.-Gen. Brian Vernon retired, ending 32 years of distinguished service with the Canadian Forces. But at the end, his career was marked by controversy. Mary Greyeyes Reid, Cree veteran of the Second World War (born 14 November 1920 on the Muskeg Lake Cree Nation reserve, Marcelin, SK; died 31 March 2011 in Vancouver, BC). 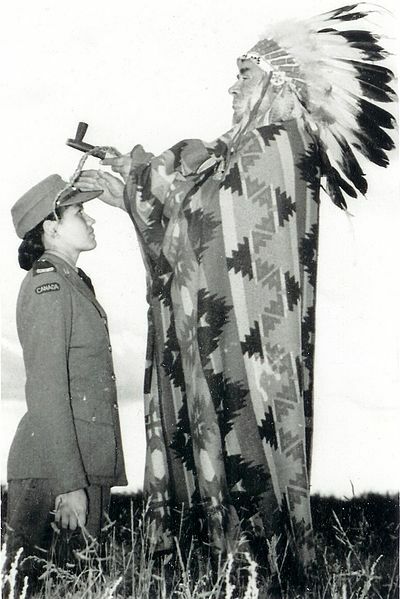 The first Indigenous woman to join Canada’s armed forces, Mary became a member of the Canadian Women’s Army Corps during the Second World War. The military tried to boost Indigenous recruitment and demonstrate Canada’s military might by posing her in a staged photo that has since been widely circulated in Canada. Masumi Mitsui, MM, farmer, soldier, Canadian Legion official (born 7 October 1887 in Tokyo, Japan; died 22 April 1987 in Hamilton, ON). 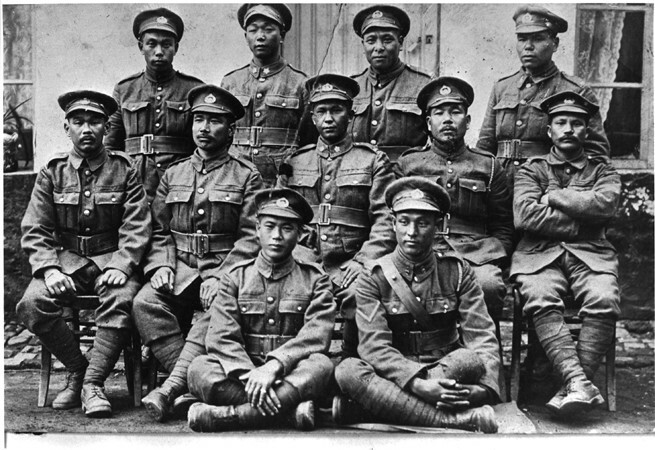 Masumi Mitsui immigrated to Canada in 1908 and served with distinction in the First World War. In 1931, he and his comrades persuaded the BC government to grant Japanese Canadian veterans the right to vote, a breakthrough for Japanese and other disenfranchised Canadians. Nevertheless, Matsui and more than 22,000 Japanese Canadians were displaced, detained and dispossessed by the federal government during the Second World War (seeInternment of Japanese Canadians). 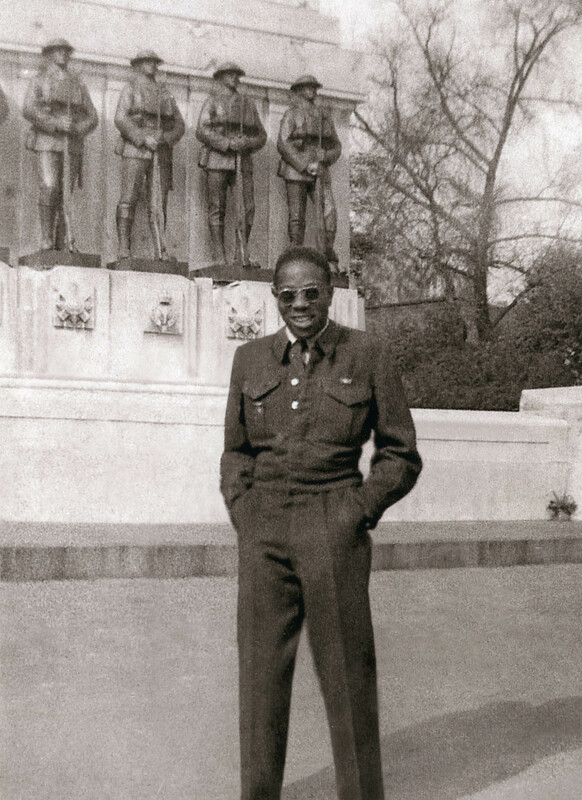 Maurice Arthur Pope, engineer, army officer, diplomat (b at Rivière du Loup, Qué 9 Aug 1889; d at Ottawa 20 Sept 1978). Son of Sir Joseph Pope and grandson of Sir Henri T. Taschereau, he was a strong nationalist who believed that Canadians must respect the traditions of both founding peoples. Maurice Baril, soldier (b at Saint-Albert de Warwick, Québec 22 Sept 1943). 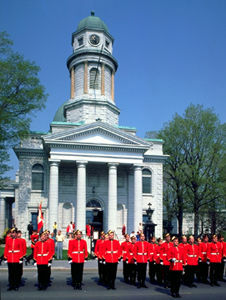 He enlisted in the Canadian Officer Training Corps, while studying at the University of Ottawa, became an officer in 1963, and was assigned to the Royal 22nd Regiment in 1964. William Maxwell Aitken, 1st Baron Beaverbrook, financier, politician, author, publisher (b at Maple, Ont 25 May 1879; d at Cherkley, Mickleham, Eng 9 June 1964). 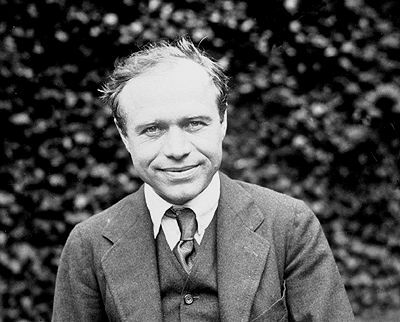 The son of a Presbyterian minister, Beaverbrook later claimed that his religion lay at the root of his worldly success. Michelle Douglas, LGBTQ activist and advocate, humanitarian, civil servant (born 30 December 1963 in Ottawa, ON). 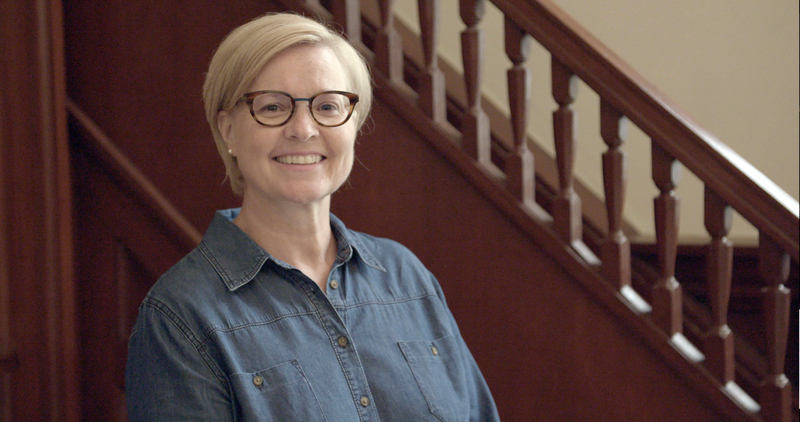 Michelle Douglas began a promising career in the Canadian Armed Forces in 1986 but was honourably discharged for being a lesbian. She launched a successful lawsuit against the military that resulted in the end of its discriminatory policy against gays and lesbians. Douglas has gone on to work with numerous charitable organizations and is director of international relations at the Department of Justice. Miles Macdonell, soldier, governor of Assiniboia (born c 1767 in Inverness-shire, Scotland; died 28 June 1828 in Pointe-Fortune, Upper Canada).